Over the summer, Miller Center accompanied over 150 social enterprises through our accelerator programs to help them discern pathways to scale their impact as they serve the poor, protect the planet, and economically empower women. We worked with Jesuits in Cameroon and Benin to accelerate more than 60 community-based enterprises that support women farmers and artisans and provide IT training to women. 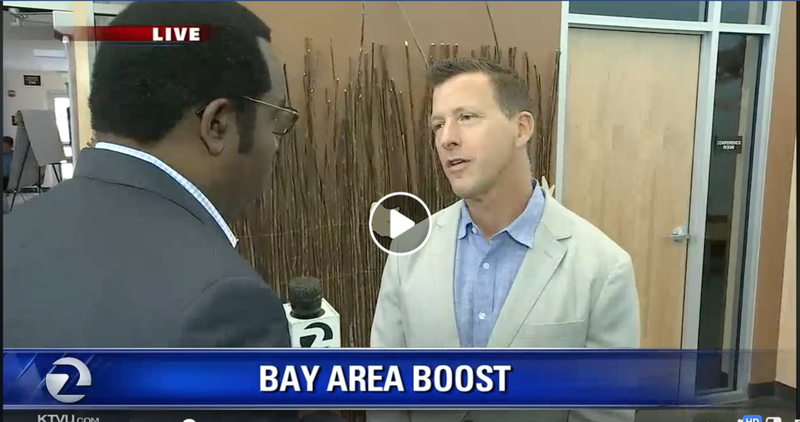 In partnership with Catholic Charities, we ran a Bay Area Boost for 32 social services organizations and enterprises. For ten days in August, we hosted 26 entrepreneurs from 18 social enterprises on the Santa Clara University campus as part of our 9-month GSBI® In-Residence accelerator program. Over 150 “friends and family” welcomed them at Testarossa Winery, site of the historic Novitiate Winery, an enterprise of Jesuits in formation for almost a century. 240 impact investors, mentors, and guests attended our GSBI Investor Showcase and our social enterprises had on average 3.6 investor meetings each. Our 18 2018 Global Social Benefit Fellows returned from 7 weeks in Ghana, Uganda, Rwanda, India, and Zambia conducting action research for GSBI alumni social enterprises. Indeed, it’s been an amazing summer of walking with change leaders around the world. Witnessing social entrepreneurs discern growth plans is a spiritual experience for me. Because their intention is for the greater good – to improve, transform, or save lives of people living in poverty, their work is powered by love and compassion. As we accompany them through this process, we see what more we can do to help others, a manifestation of the notion of magis. They are architects of hope, the theme of Miller Center’s 2018 Annual Report. After I chaired a panel on mobilizing resources to help refugees at the Third Vatican Impact Investing Conference this summer, people asked me about my faith. Similar questions arose following my welcoming comments at our August GSBI events. I describe myself as spiritual, not religious, as you can witness from the story of my communion experience at St. Peter’s tomb. Because we are multi-dimensional and intersectional in our identities, so too is our spirituality. This I am sure of: social entrepreneurship is a core component of my spirituality. The view from my home in Sonoma County is obscured by smoke drifting down from Mendocino County, Oregon, British Columbia; a hurricane hurls towards Hawai’i, where I have planned a brief dive vacation next week. Climate change is affecting our lives, but it affects the poor the most. Refugees flee violence driven by hunger, thirst, political corruption, greed, power; many have nowhere to go, rejected by those who claim moral authority. There is much reason to lose hope. The opportunity to accompany architects of hope is proximity to the power of love, and that connects us all. We invite you to join Miller Center on this incredible journey. “A sense of solidarity with the poor and the marginalized has led you to reflect on impact investing as one emerging form of responsible investment. With VIIC 2014 as the introduction to the theory of change held by social enterprise and impact investing, VIIC 2016 was the start of a “cross-walk” from Catholic ministries to social enterprise. Miller Center was asked to lead a 2 ½ day pre-conference workshop for Catholic leaders to examine social enterprise, profit and loss operations, impact measurement, and the commonalities between secular work with social enterprise and the Catholic mission. 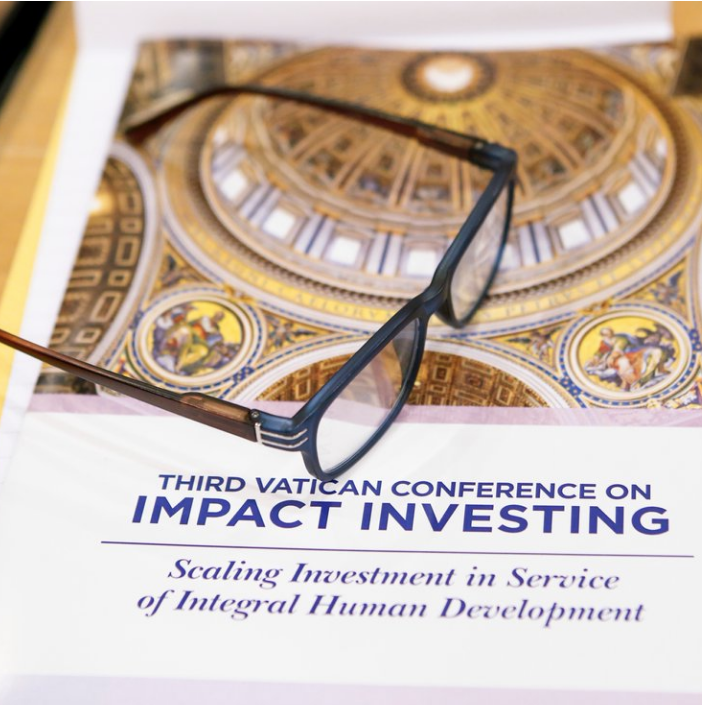 This month, the third Vatican Impact Investing Conference was held in Rome and was attended by more than 160 people. The content was dense and the conversation lively. A marked change was evident: instead of practitioners explaining impact investing and social enterprise, the voice in the room was from Church practitioners who were already embracing the thesis that some of their ministries could be recast as eligible social enterprises to impact investors. Areas of focus identified at VIIC 2018 include Sustainable Development Goals 3, 8, 10, 13, 16, and 17. More directly aligned commentary was also heard from some of the impact investor community. An example was a social impact bond created by KIOS Invest (Belgium) aimed at economic support to migrant communities. Other BoP–tailored investment solutions were highlighted by MacArthur Foundation, Investisseurs & Partenaires (France), Social Finance US, Sahel Capital (Nigeria), and Aavishkaar-Intellicap Group. They described specific investment initiatives that are aimed at communities and geographies consistent with priority areas the Vatican had identified. Miller Center Executive Director Thane Kreiner lead a panel on using impact investing to help solve global problems of human trafficking, migrants, and refugees. There was also a strong emergence from Sister organizations within the Church. Orders of Sisters run many of the Catholic ministries in service to the poor and the Sisters have been looking for help to create more sustainable enterprises. In describing their commitment, Sister Eneless Chimbali, Director General of the Association of Consecrated Women of Eastern and Central Africa, declared “the Sisters are always there!” with the poor and the enterprises that support them. On the second full day, parallel sessions were held to create a “deep dive” exploration of the four focus areas and then folded the conversations into how conference participants can take action to support what is immediately needed or in the development of further solutions. Unlike many other conferences, the engagement and participation by attendees was nearly 100% even at the final sessions of the VIIC. Positive comments and commitment were roundly evident as the VIIC came to a close. Now for action! The third Vatican impact investing conference will convene in Rome next month. It seeks to mobilize capital to address pressing, interconnected, global problems: migrants and refugees, climate change, youth underemployment, and health. 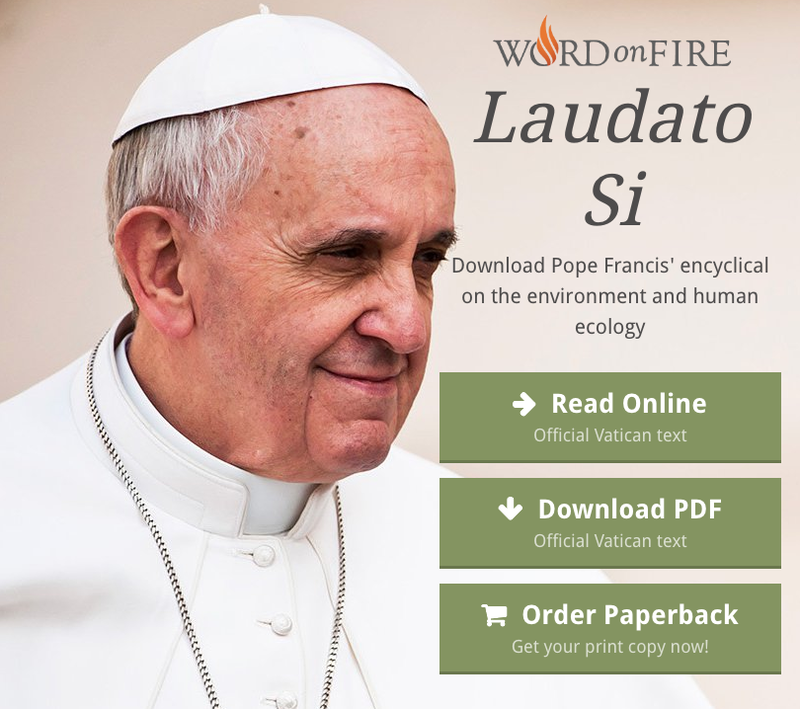 In his encyclical Laudato Si’, Pope Francis notes the “tragic rise in the number of migrants seeking to flee from the growing poverty caused by environmental degradation” (25) and notes “interdependence obliges us to think of one world with a common plan.” (164). I am honored to be the invited moderator of a panel on Migrants, Refugees, and SMEs. In January, when Miller Center decided to launch the SEM accelerator program for social enterprises serving or led by refugees, migrants, or human trafficking survivors, we wondered how many and what kinds of these ventures existed. We were surprised when many of the over 100 applicants told us the SEM cohort is the first they’d encountered focused on helping them scale their impact, as Program Manager Marie Haller notes. Their business models include impact sourcing, entrepreneurial support, and skills training. Technologies including blockchain and AI are part of the solutions they offer to refugees and modern-day slaves. We had hoped that launching the SEM program might reveal entrepreneurial solutions to serve the most marginalized among our common human family. The quality and quantity of applicant social enterprises and their profound passion in our pioneering program amazed and heartened us. Convening this group of social entrepreneurs has built momentum among a variety of stakeholders interested in finding new solutions for these global crises. Vodafone Americas Foundation, The Chao Foundation/Transparent Fish Fund, and Skoll Foundation have stepped forward to provide Miller Center financial support as we accompany the SEM social enterprises; we are grateful. ImpactAlpha recently ran a story entitled Entrepreneurs and investors mobilize to tackle challenges of refugees, migrants, and modern day slaves, identifying a growing “market” of the forcibly displaced and enslaved and consequent growing pools of capital. We are thrilled that this story names four of the twenty-one social enterprises in our Social Entrepreneurship at the Margins (SEM)cohort and humbled by the Reuters headline, California executives mentor businesses helping migrants and slaves. When journalists and foundations use phrases like “stock the pipeline” of investment-ready social enterprises, and “an emerging ecosystem”, it suggests a bigger movement is afoot to define an impact sector focused on the needs of the displaced and enslaved. We need it now more than ever. Tomorrow, June 20, is World Refugee Day. We hope you’ll join us on this journey to discern a common plan that affords refugees dignified livelihoods and eradicates modern-day slavery.